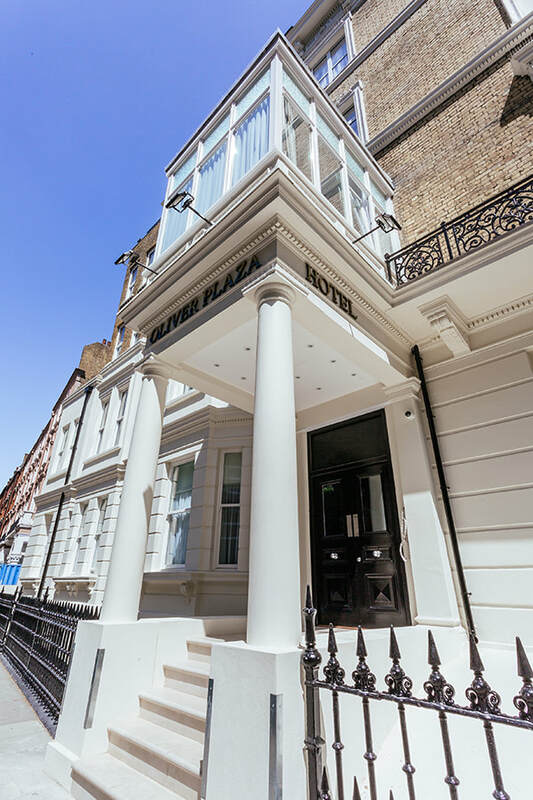 Situated in the heart of London, The Oliver Plaza Hotel offers incredible value and outstanding service. 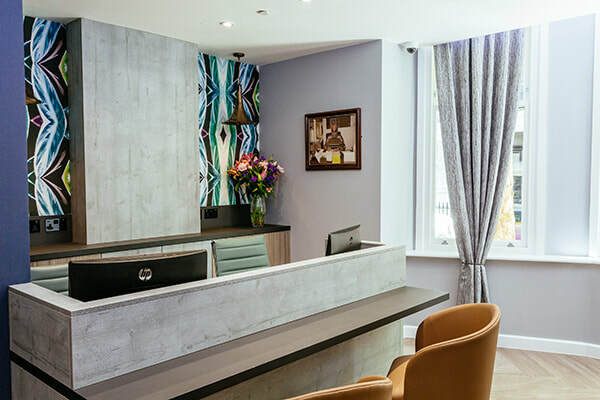 Newly refurbished with a thoughtful design toward comfort and convenience, it is a short walk to Earls Court, Gloucester Road, Cromwell Road and Kensington Square. Other points of interest, history and culture are easily accessible via nearby transport links. Immerse yourself in London’s culture, from shows to historical attractions, with the help of our friendly and knowledgeable multicultural staff. While our new interior is designed with a nod toward the modern traveller, it is unequivocally balanced by London’s time-honoured heritage and traditions. Come discover the “coolest hotel on the block” on your next trip to London. 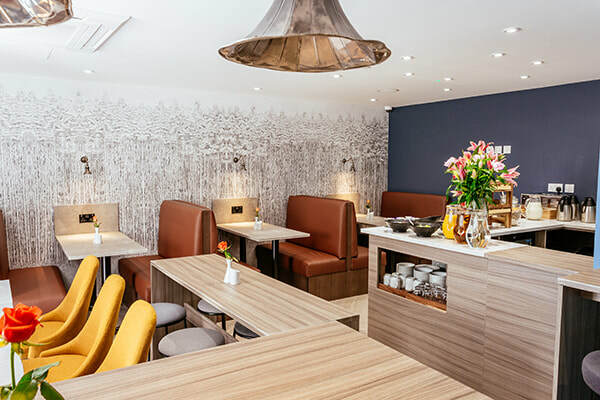 An 18-month renovation from top-to-bottom has given The Oliver Plaza Hotel a fresh and clean design edge that will ensure you are well-attended to from the time of your arrival to the moment you depart. Our best rates are guaranteed when you book direct with us. Save 20% off of our best available rates and benefit from free cancellation, late checkout and a room upgrade, to boot! Relax and unwind in our fabulous Zara Lounge. Also redesigned with a modern décor, sample delicious snacks and creative drinks to end your day or begin your evening. 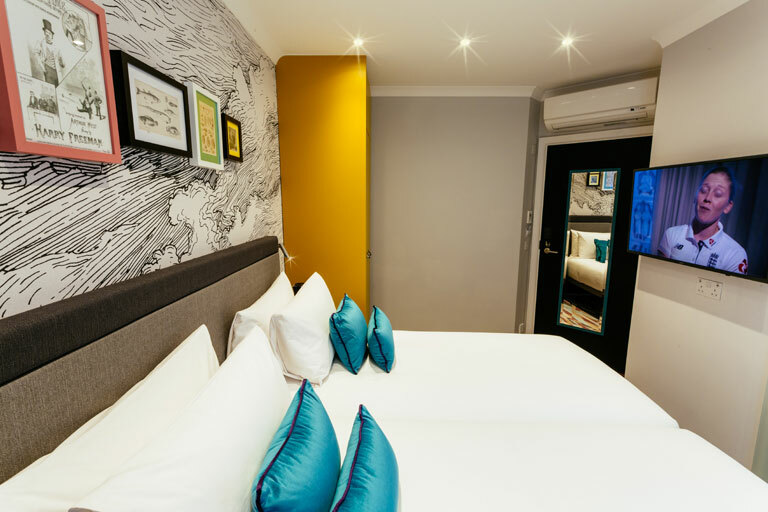 Our marvellous Twin Room offers ample comfort and space for your stay at The Oliver Plaza Hotel. Two twin beds with cosy linen provide room and comfort. 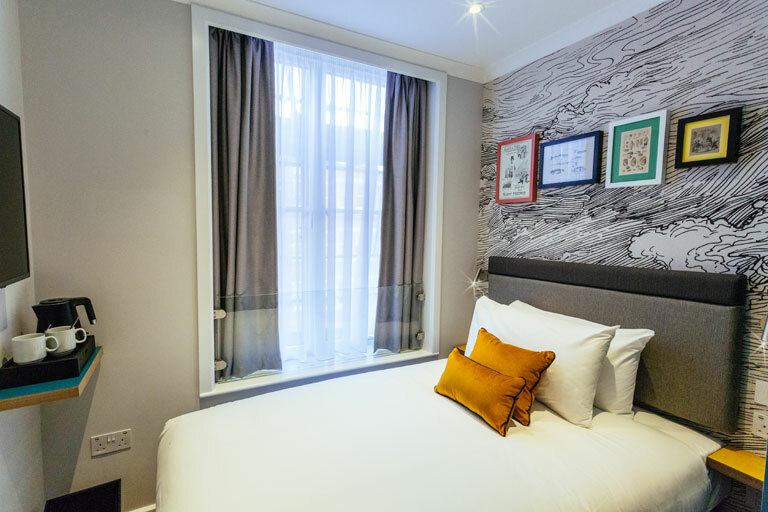 Our Urban Double Room is perfect for short stays for one person. This standard room features one small double bed and a private bathroom with shower. 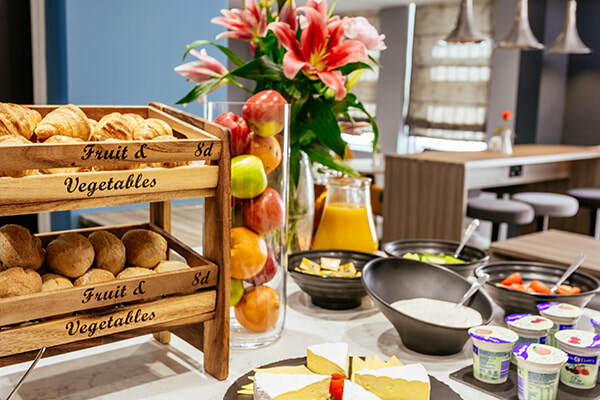 Enjoy our complimentary continental breakfast served in The Zara Lounge, featuring cereals, pastries, meats & cheeses, juice, yoghurts and tea/coffee. We see free Wi-Fi as a basic right, not a privilege. Stay connected from anywhere in the hotel. Have a request? Large or small, our concierge will see to any requirement. Throughout the day, we offer a selection of tasty beverages and snacks – all available in our inviting Zara Lounge. 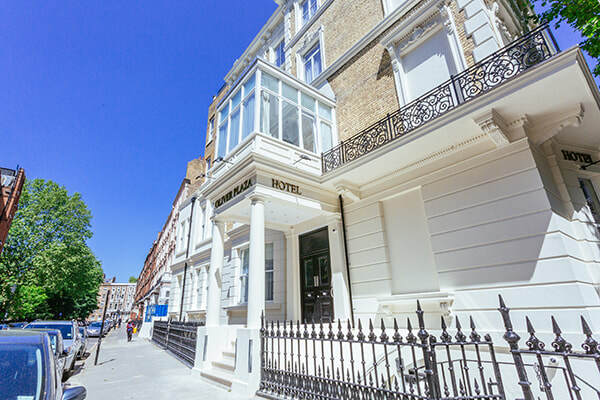 With The Oliver Plaza Hotel’s very convenient location, walk or take a short ride to some of London’s best offerings to experience its amazing culture and history.